Over the next few decades, the impact of the Internet of Things (IoT) will be comparable to the impact of the Internet itself or of mobile telephony. We are talking about the transformation, through the installation of sensors, of almost any element of the physical world into a digital entity — capable of transmitting data regarding its location and functioning, of being updated and monitored remotely, and of being integrated and acting collaboratively. As we already discussed here, Moore’s Law — established in 1965 by Intel’s co-founder Gordon Moore and still valid thanks to advances in microprocessor design and production — predicts that the processing power of integrated circuits will double roughly every 18 to 24 months. The miniaturization of components and the reduction in manufacturing costs have also allowed the price of sensors to decrease significantly: if in 2004 the average cost of a sensor was $1.30, that figure dropped to $0.60 in 2016 and is expected to fall below $0.40 in 2020. Add to this two more elements: first, the real-time analysis layer of the gigantic mass of information produced by these sensors (a.k.a. Big Data), and second, the development of artificial intelligence techniques for learning, extrapolation and autonomous behavior. These elements are already changing the way people interact with each other, as well as affecting the interaction between people and machines, and among machines themselves. 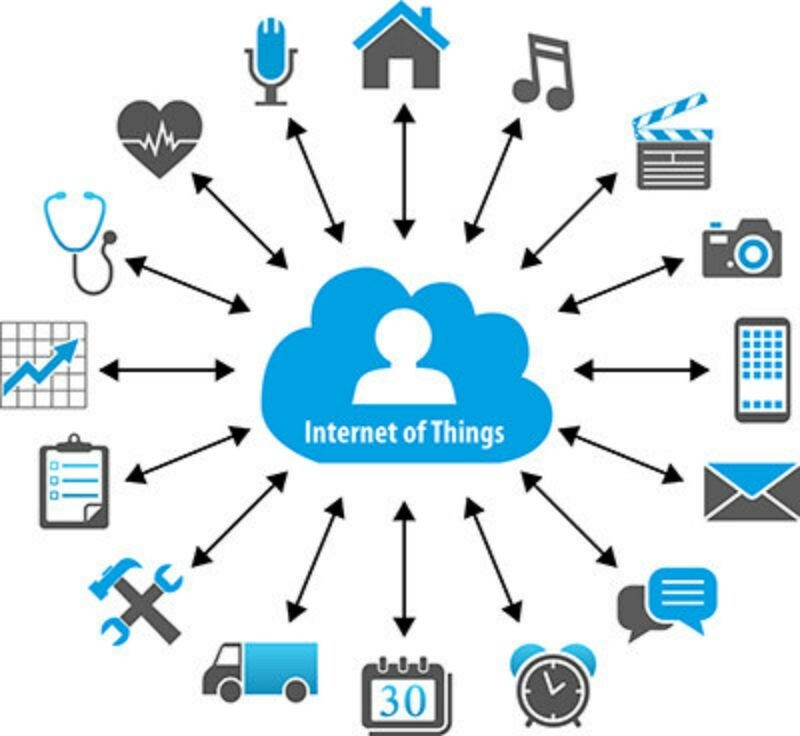 A 2016 International Data Corporation (IDC) survey conducted with 4,500 executives, spread across more than 25 countries and representing various types of businesses, showed that more than half of respondents said that IoT is strategic to the success of their brands. The motivation to increase investments in this specific technology, they say, is linked to productivity, speed to market, and automation. Governments, consumers, and industries will come across a vast array of new alternatives that will enable substantial changes in a range of processes, services, and products. In a report published late in 2012, General Electric estimated that over the next two decades global GDP could increase by as much as $15 trillion due to increased efficiency, productivity, and savings that will be made possible by connecting industrial machines to the Internet. To get an idea of what that means, the GDP of the United States in 2015 was just over $18 trillion. The full-force arrival of the connected world through the Internet of Things (or, according to Cisco, the Internet of Everything) will even affect more “traditional” businesses linked, for example, to the industrial, energy, and manufacturing sectors. As with insurers and connected cars, companies can now get information about how their products are used, anticipating potential problems with the equipment and charging their customers according to their usage pattern, in the same way that software companies charge for the use of their programs (in a paradigm known as Software as a Service or SaaS). But there are many challenges — from infrastructure, equipment interoperability, and communication protocols to issues regarding information security and privacy. Next week we will address these aspects of the Internet of Things. See you then.